This week in Pre-Calc 11 we started a new unit; Absolute Values and Reciprocal Functions. We continued off of the linear and quadratic functions we learned about, and how to graph these new kinds of functions. I will also show you how to right piecewise notation. |Absolute value signs| : The distance away from zero, makes every number in between these lines positive. 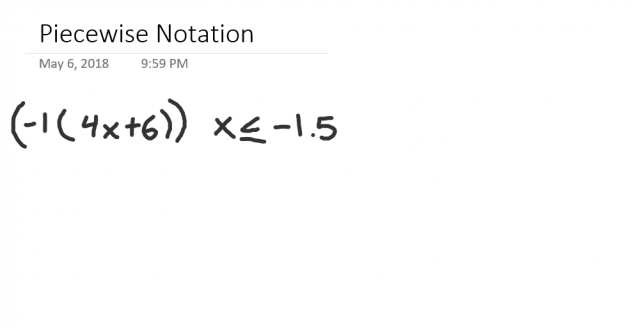 When an absolute value symbol is added into an equation, it will force any part of the line or parabola that is in the bottom (negative) of the graph to flip and become positive. When this happens the point at where the line will have an immediate turning point also known as the point of inflection or as the critical point. 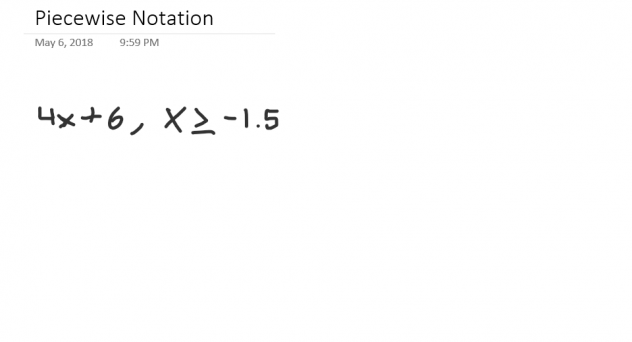 This point usually has an x value and a y value of 0. This a way to describe a function, and it has two parts. 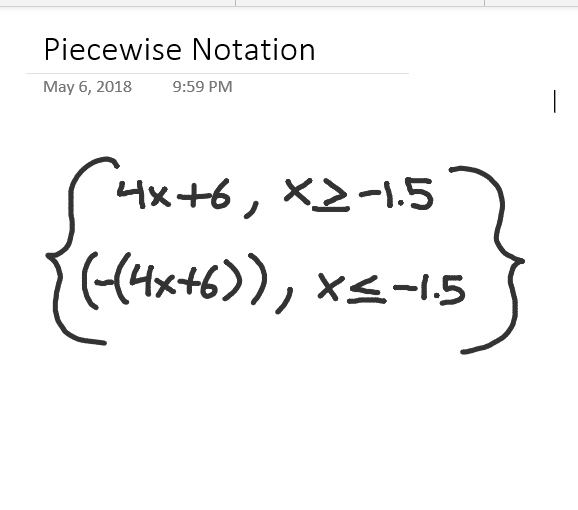 The first part of the piecewise notation explains that any x value smaller than 4 will be positive and any number larger than 6 will also be positive. 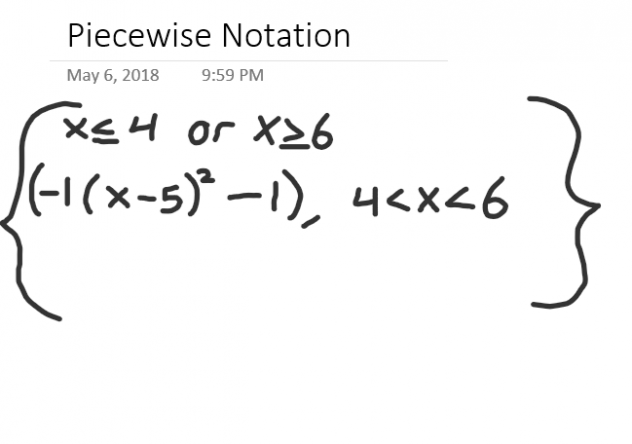 The second part of the piecewise notation describes where the parabola would be negative, but it has been placed with the negative sign so it makes whatever is in the negative side positive. 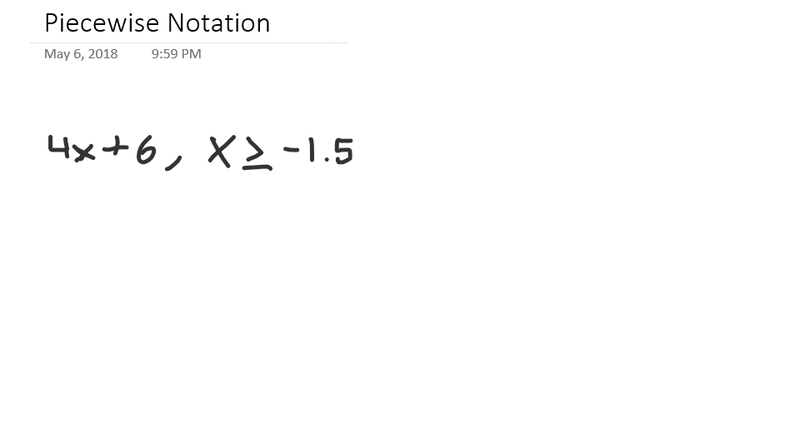 So any points between 4 and 6 would be negative, but the absolute value signs have made it. This is how you would write piecewise notation as well as what a linear and quadratic function would look like on graphs when introduced with absolute value signs.